I first met Israeli-born composer Ronnie Reshef at a fellowship program via American Opera Projects in New York City, and after hearing the beauty and intensity of her music I had hoped there would be a possibility for us to collaborate together. Interested in our vastly different backgrounds and upbringing, we decided to create a work with an interfaith theme: more specifically, a monologue-like aria based on an event in Jewish history as observed by a non-Jew. Deciding to focus on Vienna during the Anschluss of 1938, we focused on the infamous Kristallnacht campaign of November 9 and 10 of that same year. 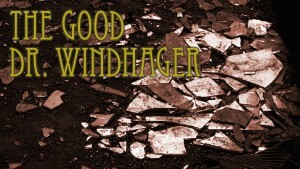 The result of our collaboration is The Good Dr. Windhager, an eyewitness account by a non-Jewish man of the horrifying abduction of a trusted family confident and friend, who also happens to be the family doctor. Ronnie’s masterful use of string quartet as an accompanying device demonstrates the contrast between the narrator’s cozy living room as juxtaposed with the damp and hellishly destructive streetscape below. The hearth-warming glow of the narrator’s home shifts abruptly to the stark, alien-like street persecution as depicted by music more rhythmic, sharp, eerie, and violent. At the end of the abduction, the narrator finds himself unable to process the topsy-turvy events of a new world, experiencing first-hand the destructive nature of hate in the midst of political upheaval.